If you are interested in learning what a critical access hospital (CAH) is, you may have been reading about healthcare delivery, especially in more remote areas. Only certain kinds of hospitals meet the requirements to have the status of a CAH, which have been designated as such so that they can access government funding and meet the needs of patients who might otherwise not have access to quality care. 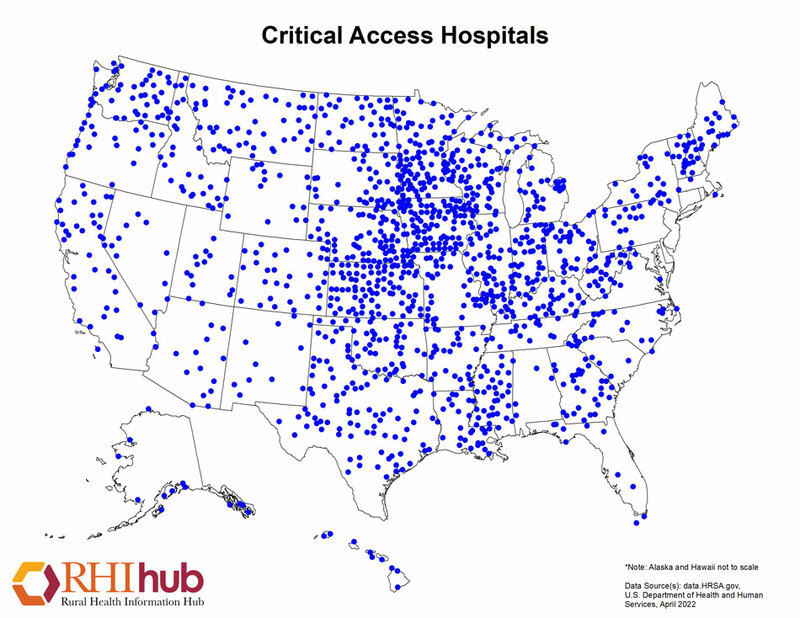 A critical access hospital (CAH) is what it sounds like: a hospital that provides needed access to patients who might otherwise have a difficult time reaching a hospital. In order to be certified as a CAH, a hospital must be located in a relatively rural area. Rural seems to be defined by the hospital’s lack of proximity to other hospitals or CAHs. Generally a CAH must be 35 miles away, at minimum, from another hospital or CAH in order to qualify for the status. There are over 1,300 hospitals in the United States that have been certified as CAHs. You can see a map of their locations at the Rural Assistance Center website. The designation of CAH must be given by the Centers for Medicaid and Medicare Services (CMS). They decide which hospitals qualify, given a certain set of criteria. Once a hospital becomes a CAH, it qualifies for some reimbursements for costs from Medicare, which provides more and better health access for rural patients. Besides location, already mentioned, other parts of the criteria for becoming a CAH include how many acute care inpatient beds the hospital has (it needs to be 25 or fewer), and how long acute care patients can stay (generally less than 96 hours). CAHs must provide emergency care services around the clock, and they also need to network with acute care hospitals so that they can transfer patients who need longer care than they can provide as a CAH. If you’re interested in learning more specific information about the criteria and benefits of a CAH, you can find detailed information at the Health Resources and Services Administration (HRSA). While there are benefits to becoming a CAH, there are also challenges, such as the limited number of beds. Each healthcare facility needs to assess what will work best in their particular community. CAHs were originally created after a time of many hospital closures, in the hopes that extra support to hospitals in more remote areas could help those facilities improve their financial health and be able to continue to offer services to patients in need. There are other types of hospitals, such as sole community hospitals, that also offer services but do so without the CAH designation.